The Yangtze may soon flow with LNG-powered vessels. 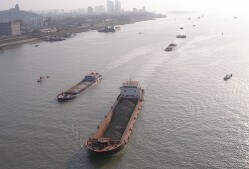 China’s Maritime Safety Administration has issued notice of emissions restriction to apply to vessels calling ports in the Yangtze River Delta, including Shanghai, from 1 April this year. The staged introduction of rules, from 2016 through 2019, progressively cuts back engine emissions while providing a limited time for the introduction of cleaner technology, such as the use of liquefied natural gas (LNG) fuel systems. 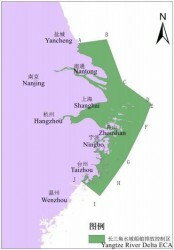 The notice arises out of China’s Ministry of Transportation issuance #31 Ship and Port pollution prevention special action plan (2015-2020), of September 2015, followed by an announcement in December last year which introduced three Emission Control Areas (ECAs): the Pearl River Delta, Yangtze River Delta and Bohai-rim waters. A circular from marine insurer Skuld P&I (Protection and Indemnity) Club explains the rules will become compulsory in Yangtze River core ports – Shanghai port, Zhoushan port, Ningbo port, Suzhou port including Zhanjiagang, Changshu and Taicang, Nantong port- from the beginning of April. Vessels are encouraged to use low-sulphur (sulphur content of the fuel ≤0.5% m/m) fuel when they enter Yangtze River Delta ECA waters. Ships will be required to use fuel of less than 0.5% sulphur content while berthing excluding the one hour before departure and arrival, until the end of 2017. From 2018 the requirement to burn low sulphur will be extended to the whole duration of berthing and from 2019 the entire time a vessel is within the ECA area. Before the end of 2019 the Chinese government will evaluate the effectiveness of the ECAs and decide whether to reduce the sulphur content to below 0.1%, enlarge the ECAs or other measures. Further information on the Skuld update can be found by clicking here.